The boat ride and hike was pleasant, really easy for beginners. Our guide, Jackie, is very experienced and was telling us about the area. There were stalls selling fresh coconuts which was a good way to refresh after an hour of hiking. 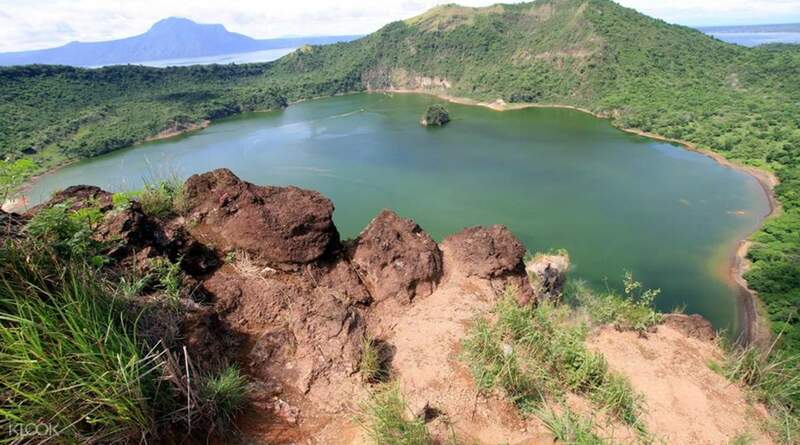 Trek through the stunning landscapes of the Philippines to the world’s smallest active volcano - Taal Volcano which is also the second most active volcano in the Philippines with 33 documented eruptions. 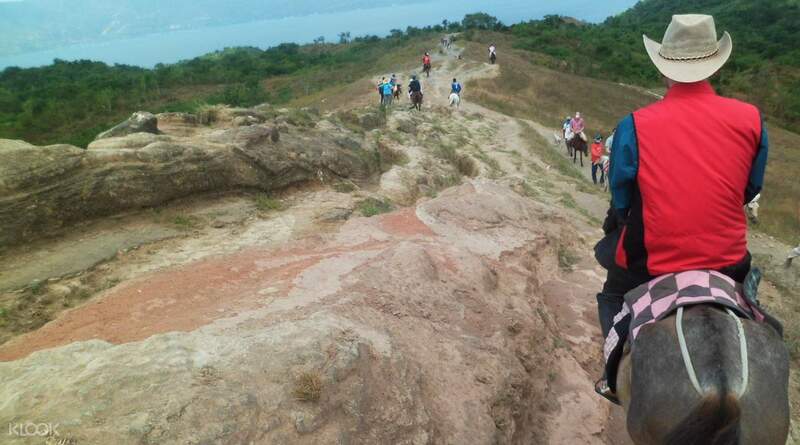 The adventure starts bright and early in the morning as you meet up with your tour group in Manila before heading to Batangas, where you'll hop on a boat to the island volcano. 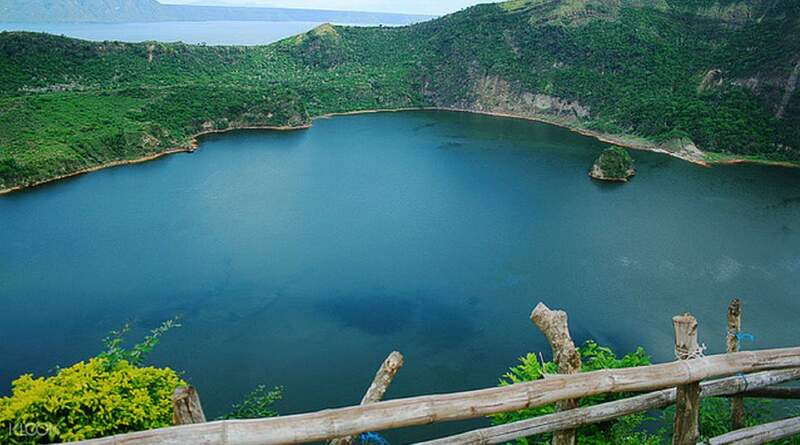 Upon arrival to Taal, begin your trek to the viewing deck from where you can see the crater. Don’t worry: the one hour hike is relaxing and fit for trekkers of all ages and physical abilities. 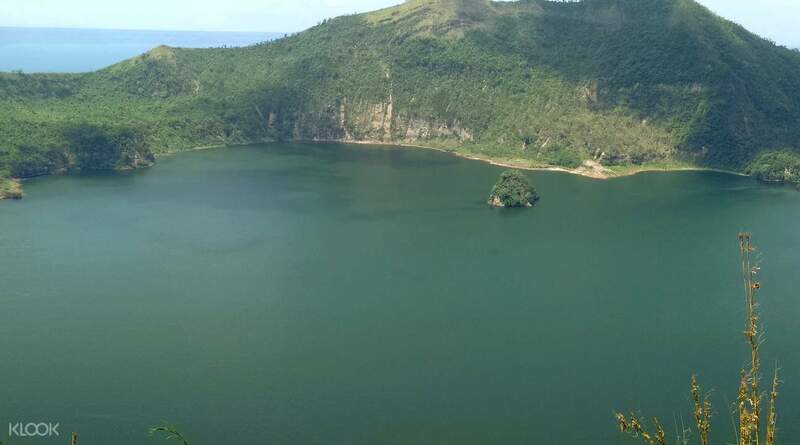 Watch steam rise from the ground, explore the area around the crater and enjoy views of the caldera and the lake below. You can also ask your guide for instructions on how to get to the crater itself - and even go in for a swim before heading back down! Right before noon, you'll ride the boat back to the lakeside town of Talisay for a delightful lunch in the area at your own expense before the return trip to Manila. Arn and sir Robert were awesome guides. Very accommodating and fun yet very professional company. 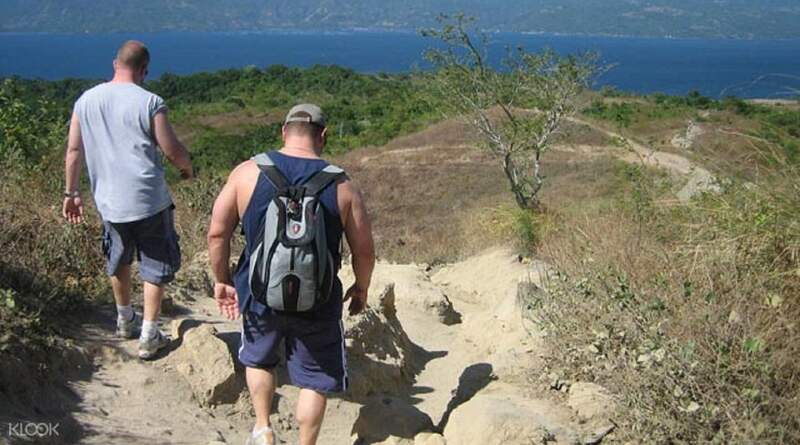 We highly recommend this to anyone who are planning on hiking or taking up a tour anywhere in the Philippines. Arn and sir Robert were awesome guides. Very accommodating and fun yet very professional company. We highly recommend this to anyone who are planning on hiking or taking up a tour anywhere in the Philippines. The boat ride and hike was pleasant, really easy for beginners. Our guide, Jackie, is very experienced and was telling us about the area. There were stalls selling fresh coconuts which was a good way to refresh after an hour of hiking. The boat ride and hike was pleasant, really easy for beginners. Our guide, Jackie, is very experienced and was telling us about the area. There were stalls selling fresh coconuts which was a good way to refresh after an hour of hiking. As a Traveller, I can assure you that this will be an adventure of once per lifetime. I liked the fact that we woke up very early to catch the meeting at 3 am, we arrived at the Volcano and start trekking very early like 7 am, before the Sun rises high and before the weather gets hot. The guides were extremely nice and helpful, one of them is still studying tourism so he had the passion. As a Traveller, I can assure you that this will be an adventure of once per lifetime. I liked the fact that we woke up very early to catch the meeting at 3 am, we arrived at the Volcano and start trekking very early like 7 am, before the Sun rises high and before the weather gets hot. The guides were extremely nice and helpful, one of them is still studying tourism so he had the passion. You can have a wash after activity,the service is good,will recommend!!! You can have a wash after activity,the service is good,will recommend!!! This time I went to Manila, the weather was bad, the volcanic activities could not participate, but the local tour guides were really nice! They stayed with us waiting for the weather to stabilize, and after a while it was still not stable, they would propose other locations, let us choose which one to change. The itinerary, the whole process is very patient and friendly, very push this local travel agency! 這次去馬尼拉，天氣不好，火山活動無法參與，但是當地導遊真的很nice!他們陪著我們等待天氣穩定，等了一陣子還是無法穩定，他們還會提議其他地點，讓我們選擇要改哪個行程，全程很有耐心友善的說明，很推這間當地旅行社!